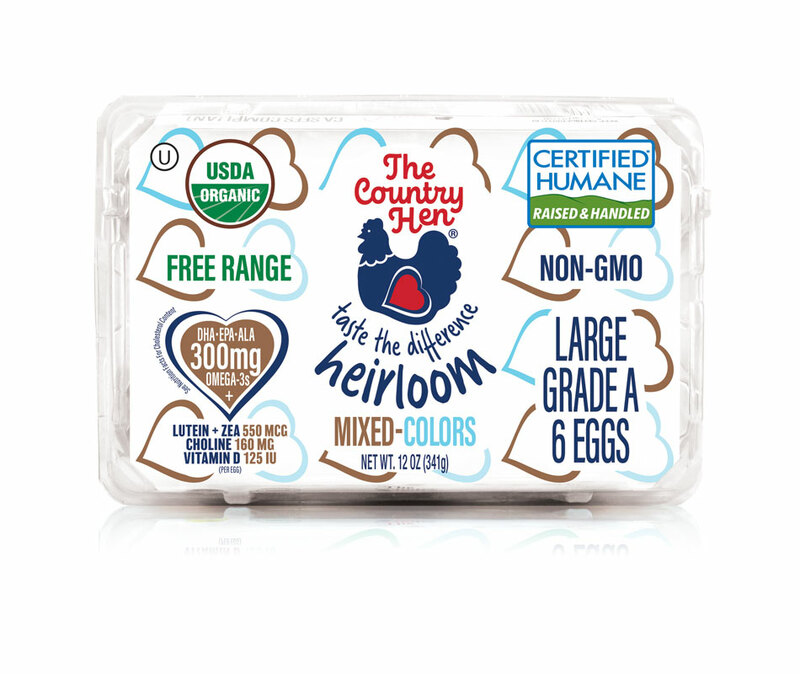 The Country Hen Heirloom Eggs are delicious tasting, premium quality, Certified Organic, Certified Humane Omega-3 enriched eggs that you can always trust The Country Hen to produce. 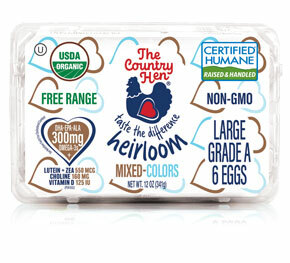 What makes these eggs different is the beautiful color from traditional bird breeds that lay eye-catching mixed color Heirloom Eggs. We've always been proud to pamper and care for the brown hens on our farm and now we are broadening the spectrum to raise and care for a new set of lovely ladies with a flair for producing these pretty pastels. These beautiful hens are happy as can be at our little country farm. 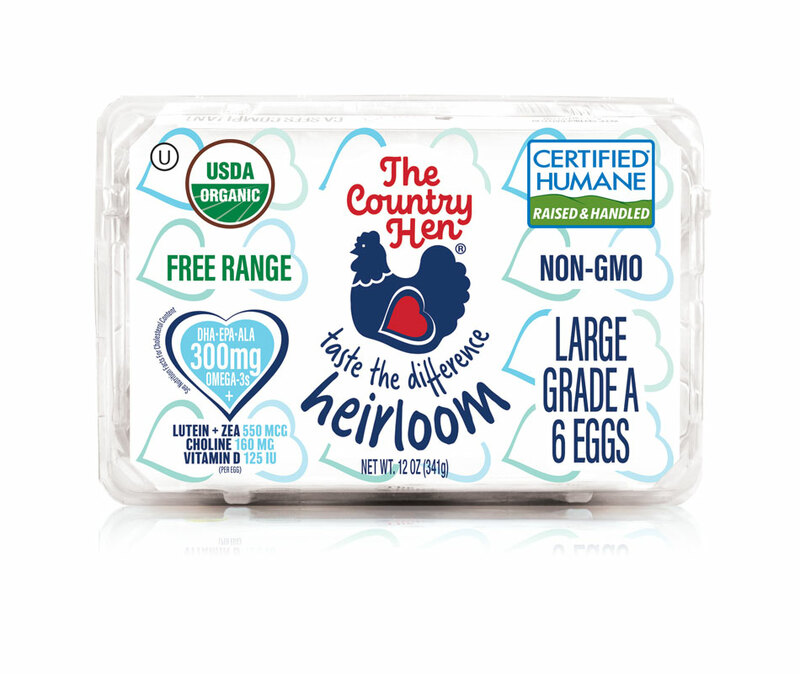 They are cage free and free range, able to explore their beautiful sunlit barns as well as the outdoors where they can strut and forage to their hearts’ content. 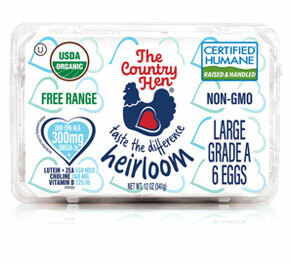 Our special way of caring for our hens means our eggs have a difference you can taste and see.